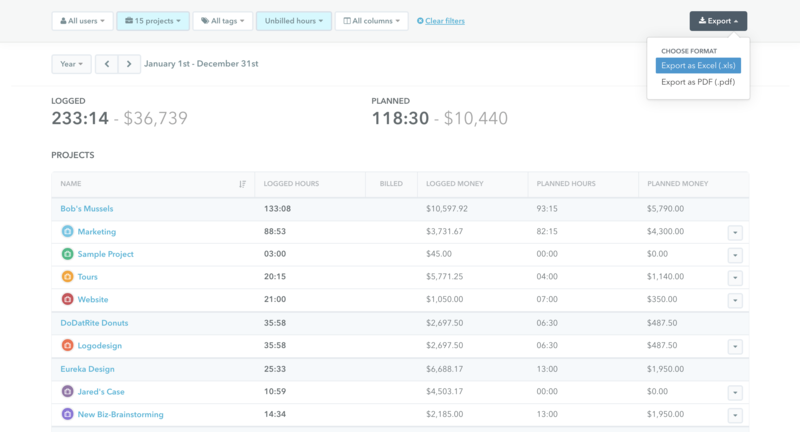 Creating a report of hours tracked in Timely is quick and easy. You can generate a report both on the Project's page and on the Reports page. 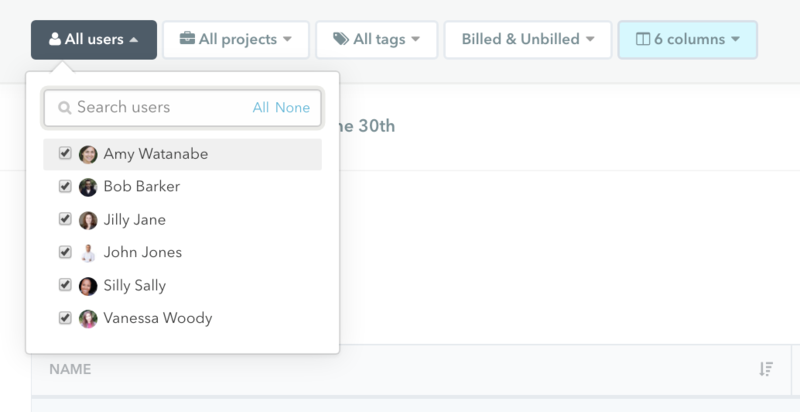 While you can report on projects individually on your project's page, you can generate a report that includes multiple projects on the Reports page. Want a report for only one user, part of the team, or everyone? Just check any user you want to include in the report in the drop-down menu on the left. 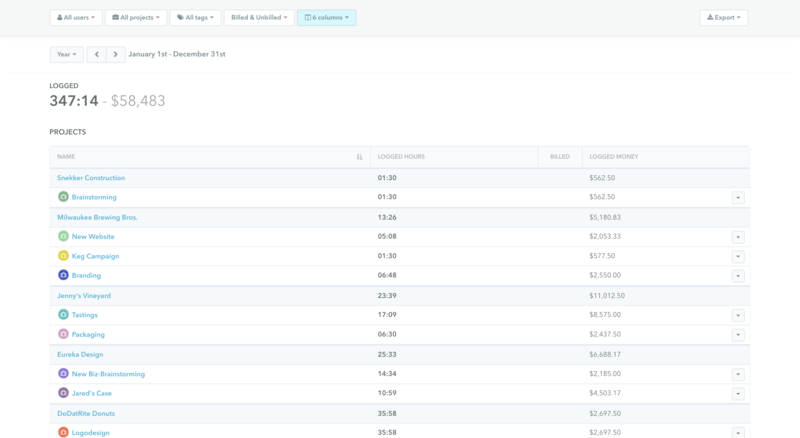 Pick the month of December, last week, or a custom range date in the time selector located under users. Do you want all logged hours or only hours logged under a certain client or project? 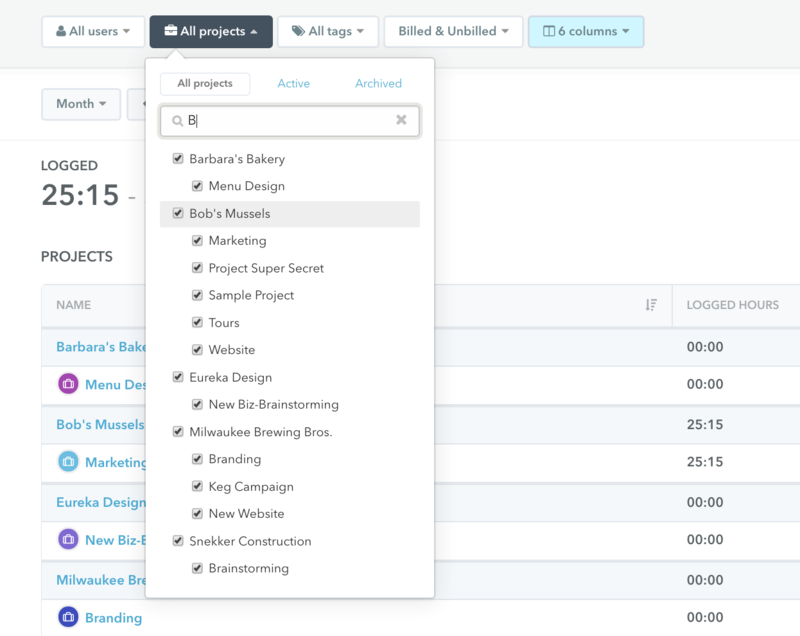 Use the search field to find the project you need to report on and select it from the drop-down menu. Select different tags to see where you've been allocating your time. Use the search field to find a tag or select tags from the drop-down menu. 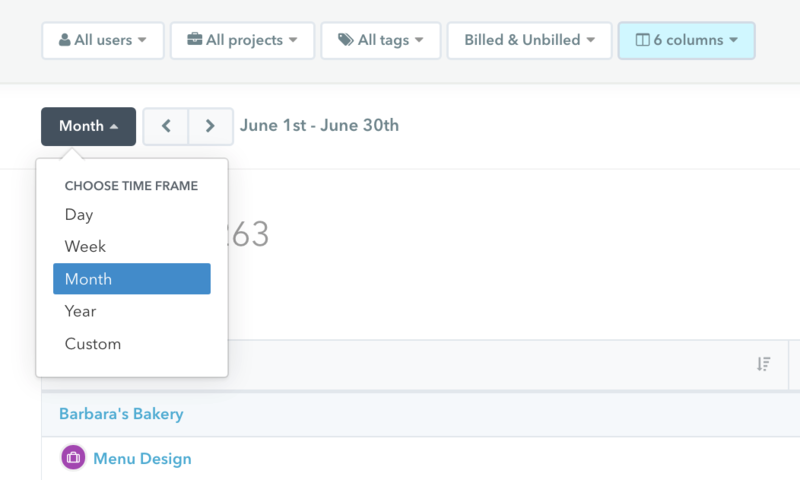 Read more on how to create tags. You can also see near the bottom of reports details on each tag specifically. Report only on hours that have been billed or unbilled, or both. Read more about Marking hours Billed. Decide if you'd like to report on all hours, just planned hours, logged hours, include your notes, or keep the monetary value attached. So many options! At the top of the page, you can choose between exporting your report as an Excel file or a PDF. If Timely thinks the report is too large to directly download, it will send the report to your Timely-registered e-mail address within a few minutes. How do I get my reports to include decimals? We recommend that you generate your reports in Excel to include decimals!